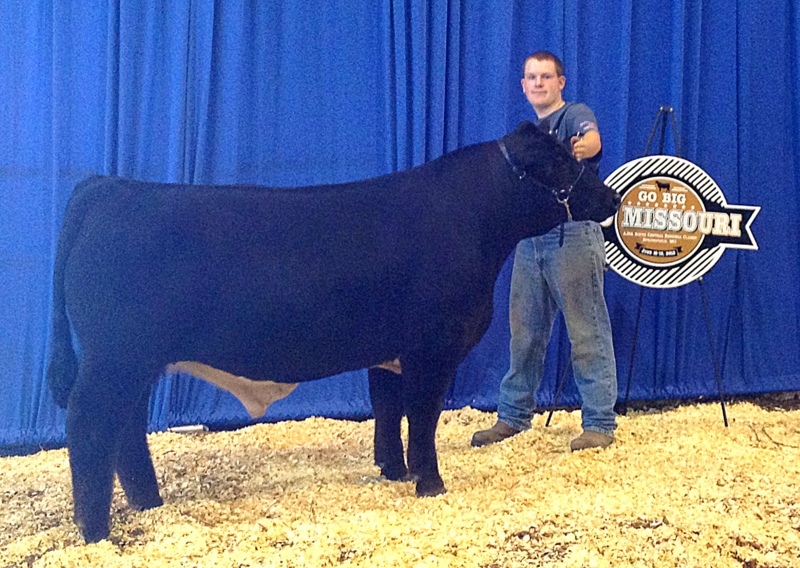 Theo took one steer, Clovis, and one heifer, Iris, to the South Central Simmental Regionals in Springfield Missouri. 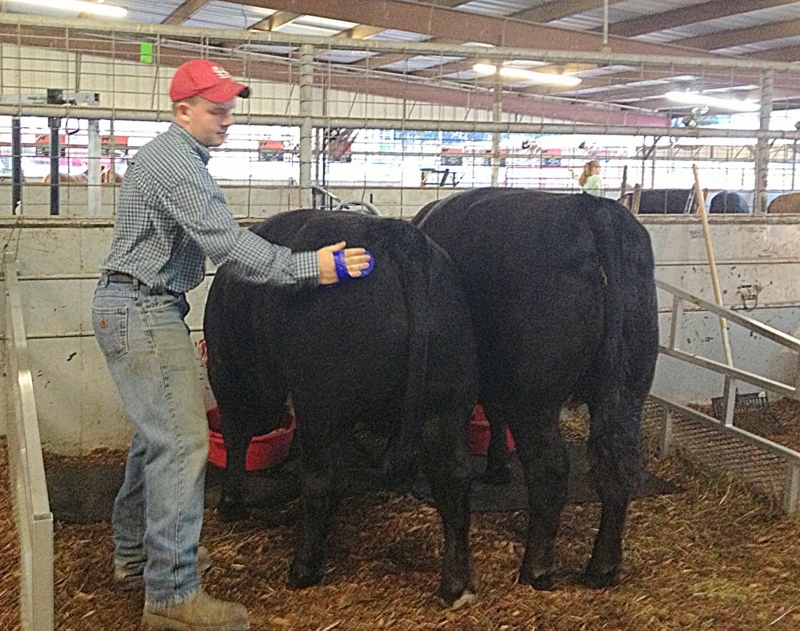 On Monday and Tuesday, Theo participated in sales talk, cattleman’s quiz and livestock judging. The cattle show was on Wednesday. 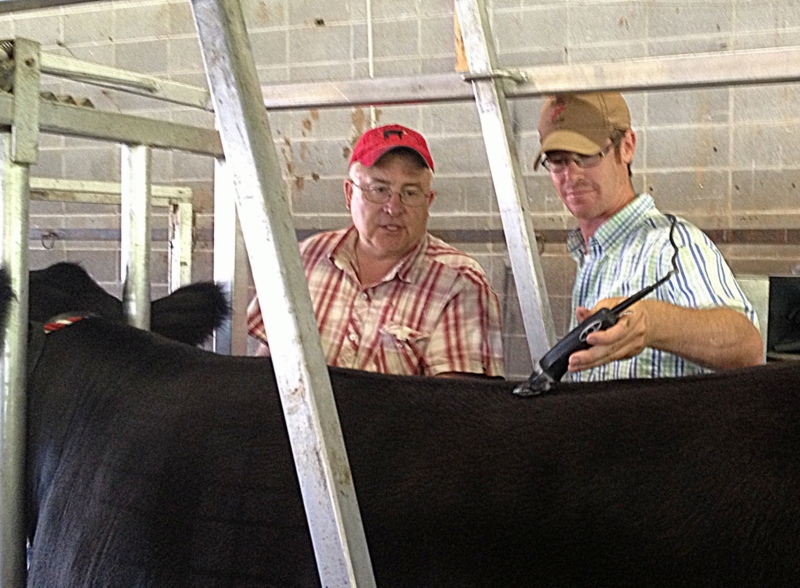 Kevin Johanson came to fit both the heifer and steer. He did a very nice job. 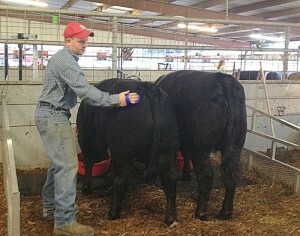 Clovis placed 4th overall steer. 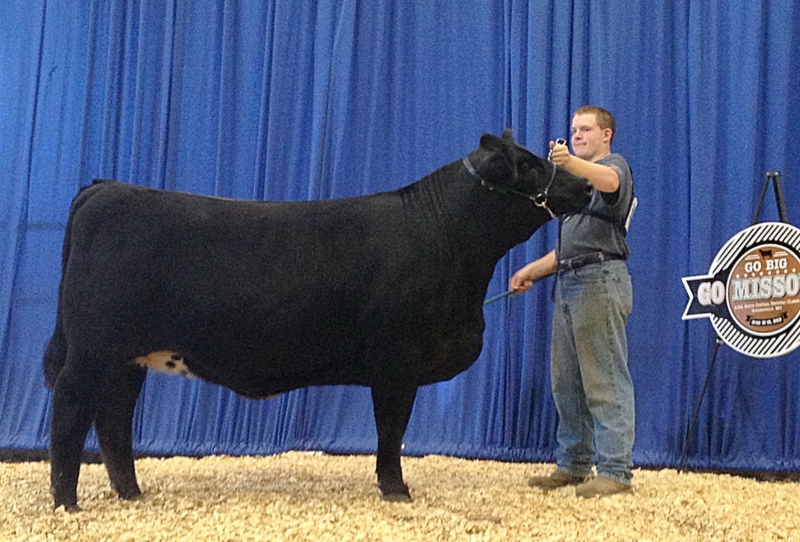 Iris placed 7th overall bred & owned purebred heifer. 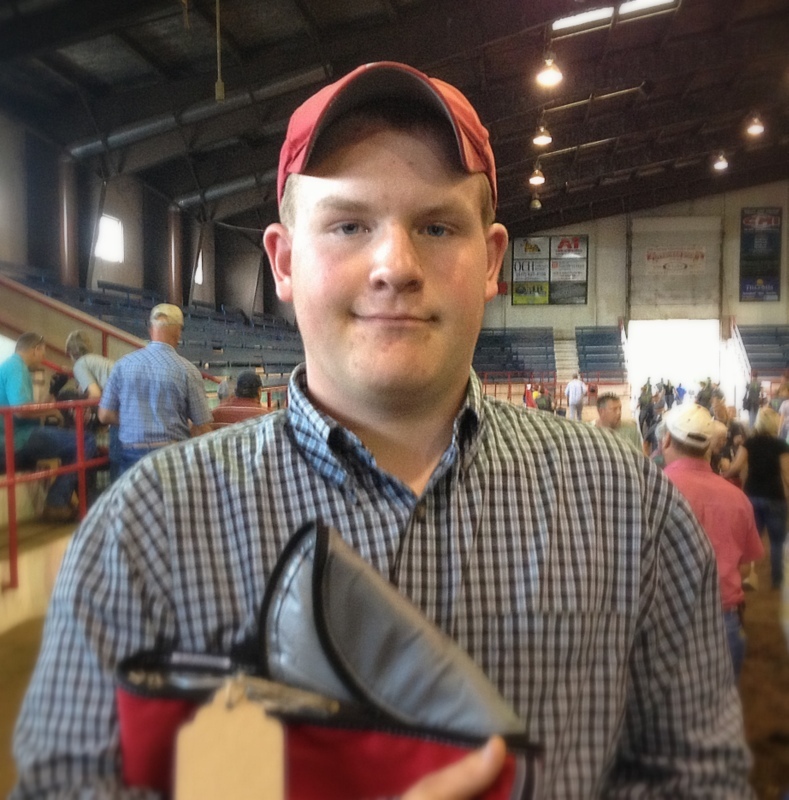 Theo placed 1st in the livestock judging contest. As we were just about to load the equipment up to head home, a light came on the dash for the engine. Dad took the truck to the local ford dealership but they could fix it til the next morning. So we had more quality time in Springfield MO. On the road home a clamp on the turbo boost broke. So we had to stop and get that replaced. We did eventually make it home just before dark. 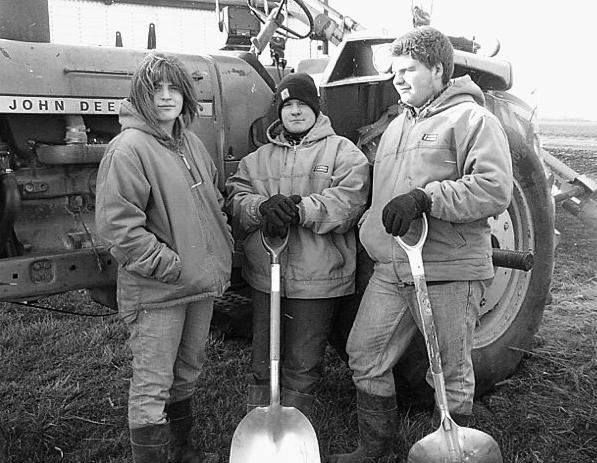 That night Dad baled hay til about 10pm.